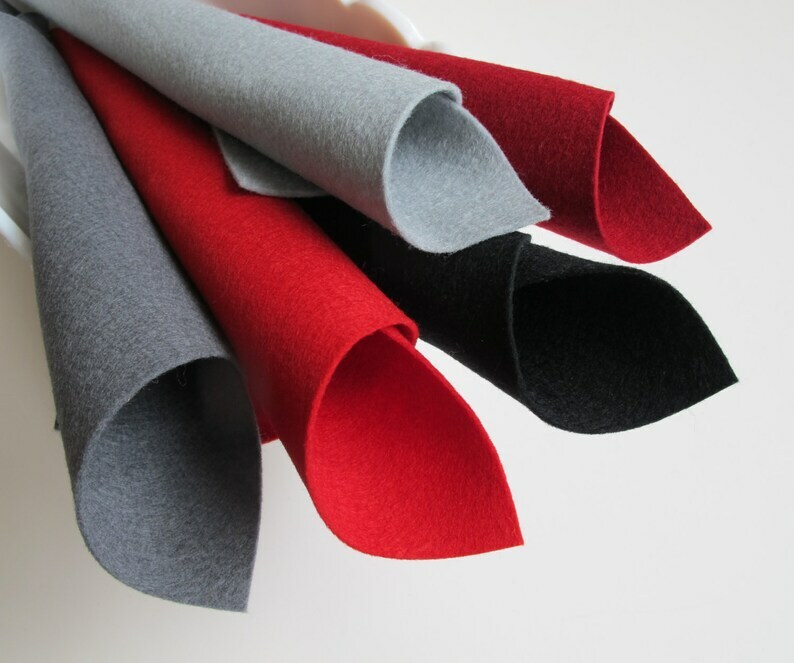 100% Merino Wool Felt Sheet Set. The felt is 1/16th inch (1mm) thick. Toxin free, certified safe for children. Cuts cleanly. Perfect for die-cutting machines. Holds stitches beautifully. Sturdy enough for machine embroidery. Color fast and fade resistant. *THIS* is the good stuff!